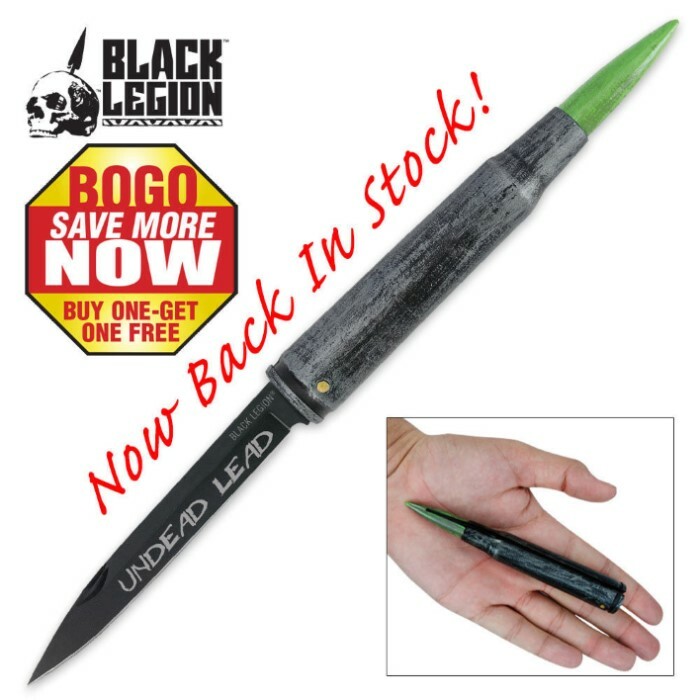 This .50 caliber Undead Lead Bullet knife is capable of sending a lethal shot through any zombie that comes your way! You will receive two of these bullet knives with this order! BV226. I was suprised I got it just because I can and I'm impressed I had to get another for my friend you won't be disspaointed.